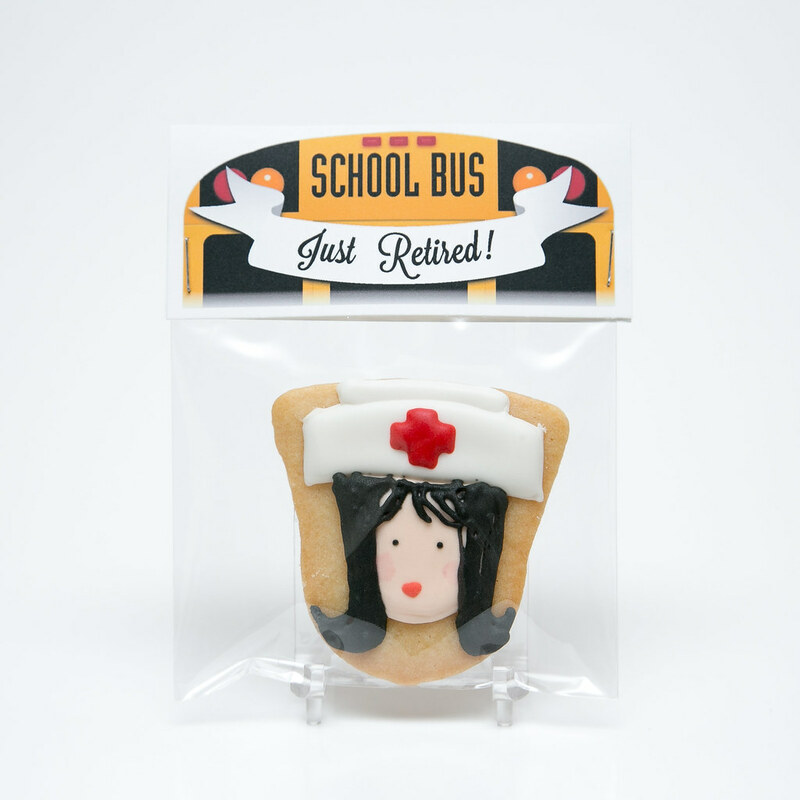 School Nurse Retirement Cookies for My Mom! I was in cahoots with my mom's friend and coworker Lisa to send some cookies to a Retirement Dinner Party that they were throwing for her. 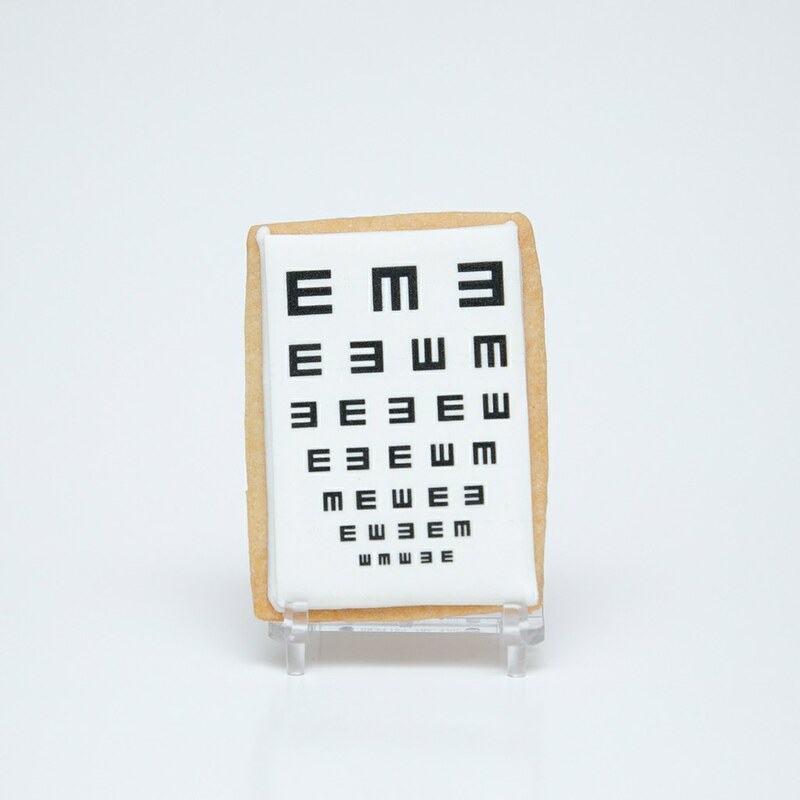 Bandaids and eye charts (for kindergardeners). 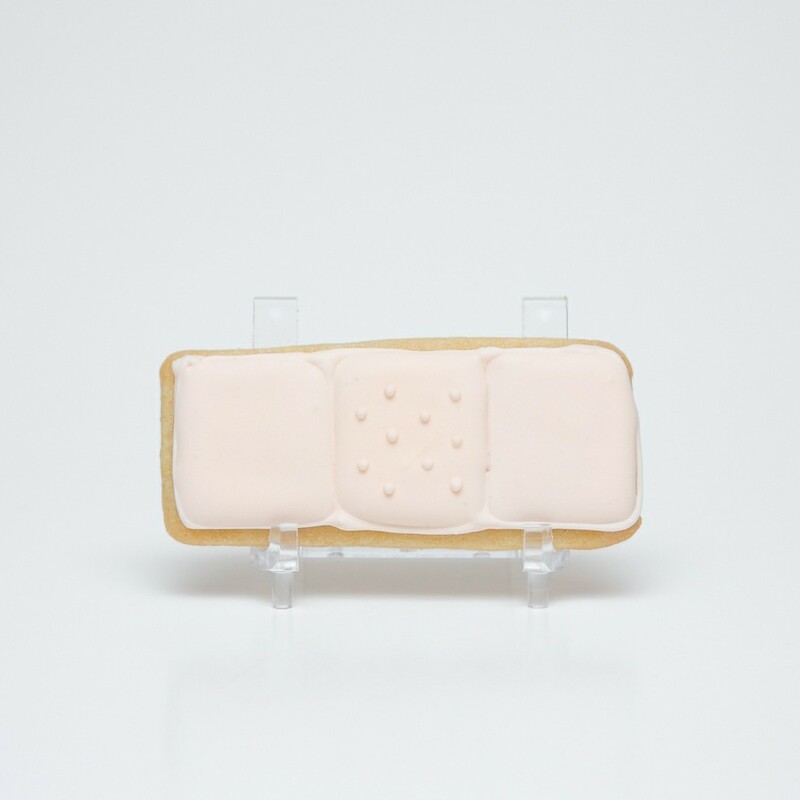 Some "Retire Mints" (get it?!) 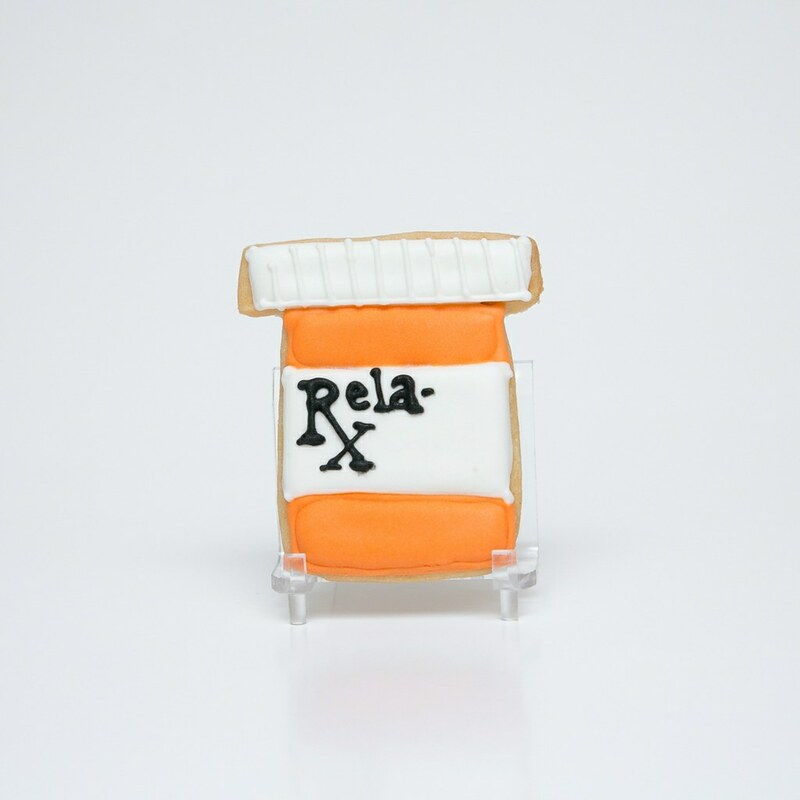 and a little Rx pill bottle with a "subliminal" retirement message and a Hall Pass cookie for good measure. 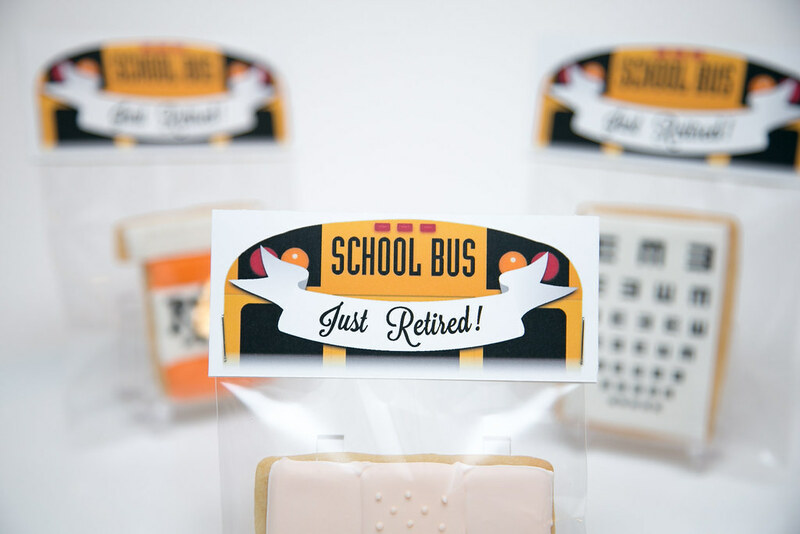 Cole designed the tags for me -- I was trying to emulate the idea of a "just married" banner on the back of a getaway car, which in this case had to be school bus, obviously! 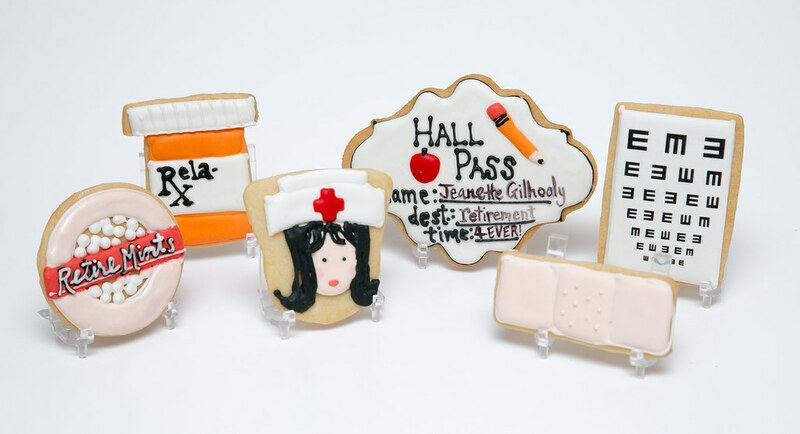 I loved the "Get Well Soon" cookie designs Sweet Sugarbelle did, particularly those adorable Nurse Cookies, so I did a similar design to those for the Nurse Jeanette cookie, but I had to tweak the design a little to give my mom a different look. The little kids at school over the years draw my mom adorable pictures for sweet little cards on Nurse's Day or the last day of school -- and consistently, over the years, my mom is often dressed in a nurse uniform (even though she does not wear that hat or any uniform to work) and pretty much always has a short black "flip" hairdo. 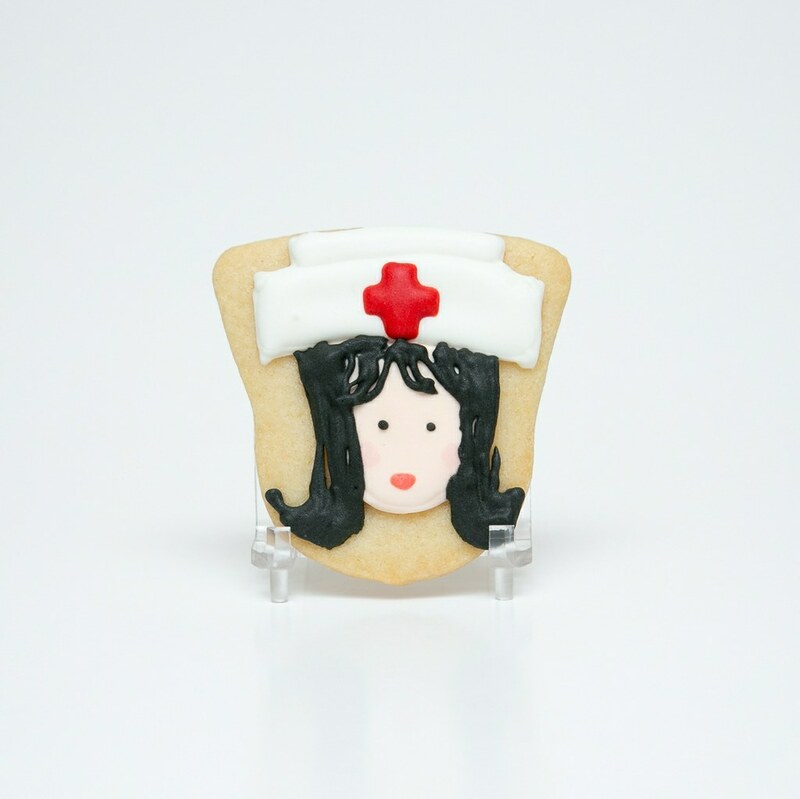 It's just become a thing and I love it so I, of course, had to emulate that in her cookie portrait! 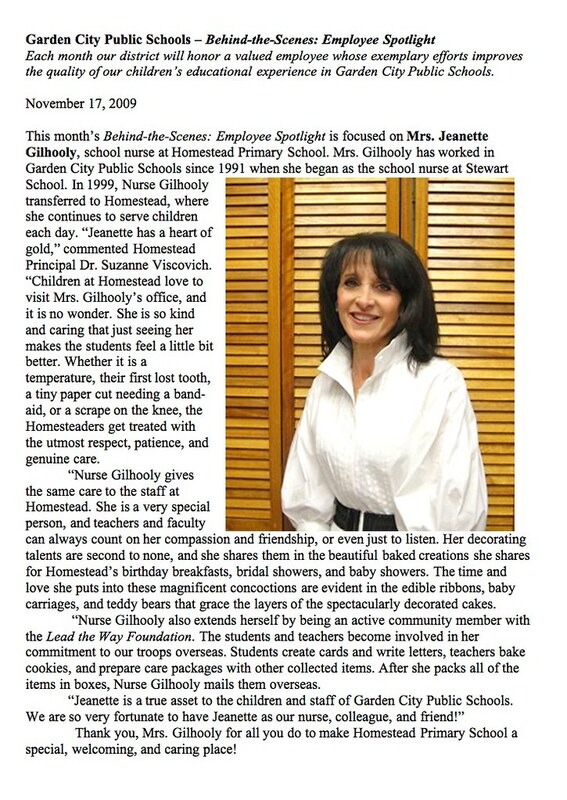 Here's a little really lovely article that was written in the school bulletin a few years ago about my mom, Nurse Gilhooly! We love her so much and are so proud of her and excited for this new chapter of her life!